Send your prayer for the pilgrims and their mission. It will be written on a prayer ribbon and carried on pilgrims’ backs. They will give your prayer to leaders at the UN climate talks. We’re carrying an urgent cry for climate justice from the Vatican to the UN climate talks in Katowice, Poland. Send your prayer for the pilgrims and their mission. It will be written on a prayer ribbon and carried on pilgrims’ backs to the UN climate talks. 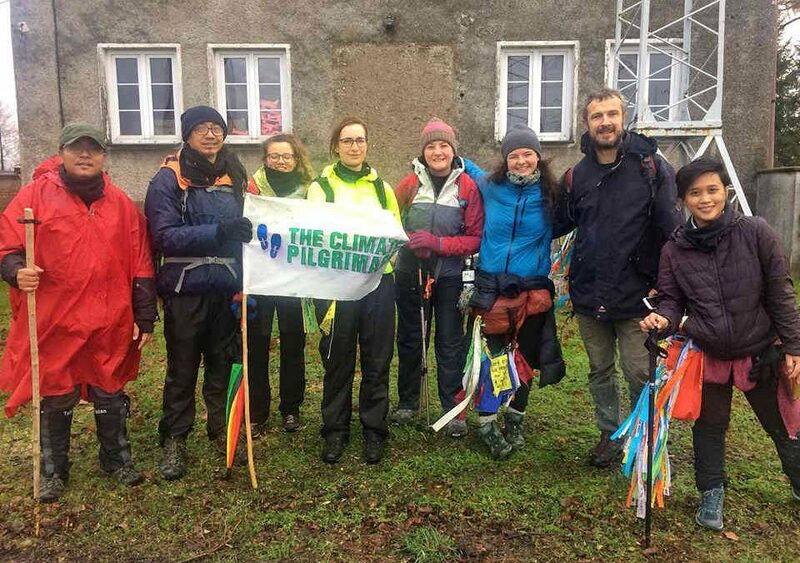 People of faith around the world are uniting on a pilgrimage for climate justice. Coming from the Philippines, the Pacific Islands, and all across Europe, we’re standing in solidarity with our most vulnerable sisters and brothers. Our journey is inspired by Laudato Si’, Pope Francis’ letter on climate change and ecology. As climate change makes storms rage, deserts grow, and seas rise, people of faith are called to act. We love our neighbors, the most vulnerable above all, and solving climate change is an act of love. Laudato Si’ says that we need to “set out on the long path to renewal.” You’re invited to walk this path by tweeting at leaders, holding a conversation in your community, or even walking the route with us. Read more about what we’re calling for. That's why #TheClimatePilgrimage is so impressive, so meaningful. 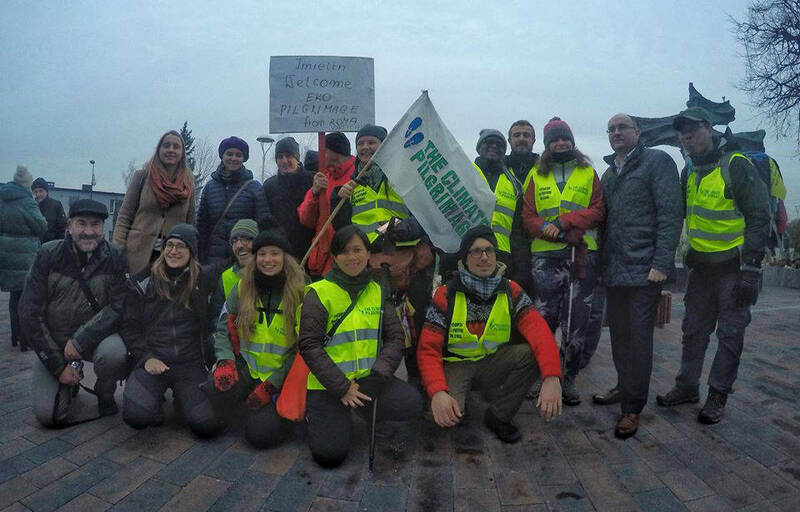 These guys walked all the way from Rome to Katowice! They walked, all the while taking in the world around them. What an example they have set. 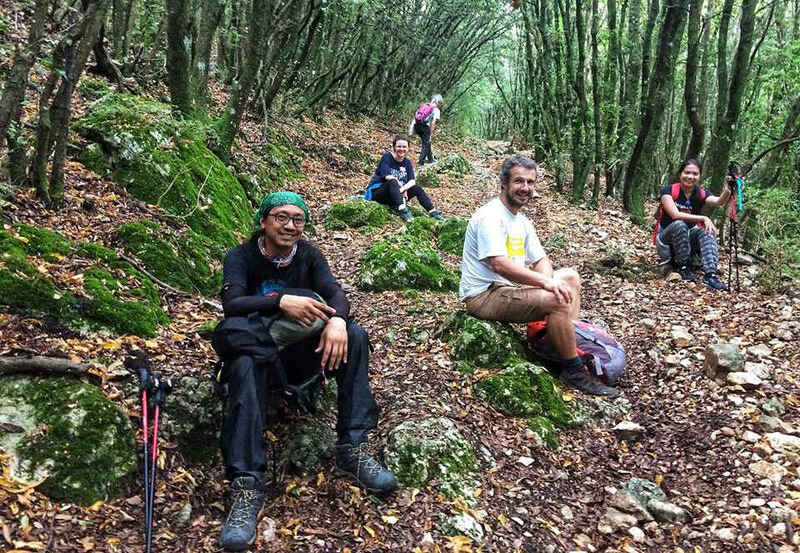 The Catholic Pilgrimage has completed its 1,500-kilometer journey through sunshine, rain, and snow, across meadows and mountaintops, from coastal towns to historic cities. On the eve of their last day on pilgrimage, the group was gathered in a church in Imielin, listening to the beautiful voices of a local choir. The pilgrims have entered the sixth and final country in their journey: Poland. This border crossing begins the final chapter of the Climate Pilgrimage, but the mission is far from over. We’re walking 1,500 kilometers to demand climate justice.